As salespeople, we’re constantly on the lookout for new, innovative ways to sell smarter. However, it can sometimes seem like there’s an overwhelming amount of tools at your disposal, and quantity doesn’t always mean quality. 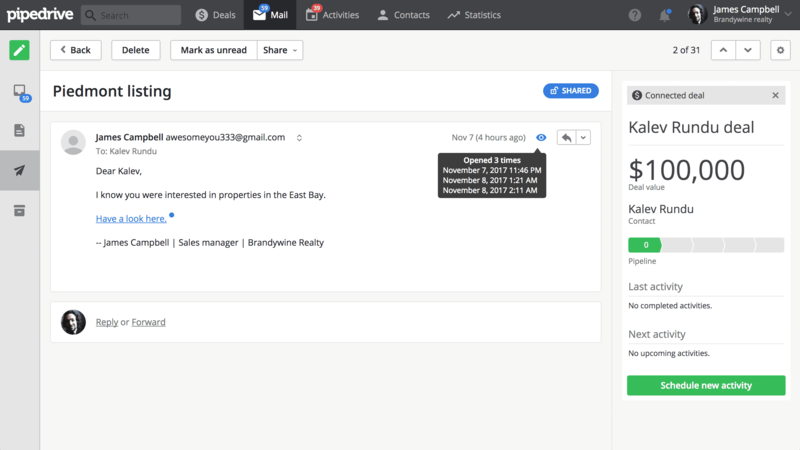 Email tracking is a justifiably popular feature for many professional salespeople, and if you haven’t made use of it, it might be exactly what you need to take your sales game to the next level. 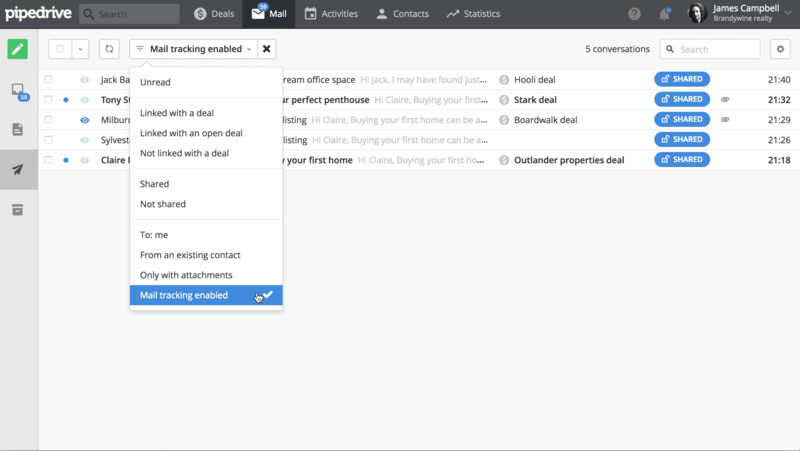 Imagine getting real-time notifications as soon as a prospect opens your email; that’s what email tracking is all about. Email tracking also notifies you when prospects click on any links included in your emails. This way you can quickly and strategically react to their actions, as well as get a little insight into whether or not your messaging is effective. 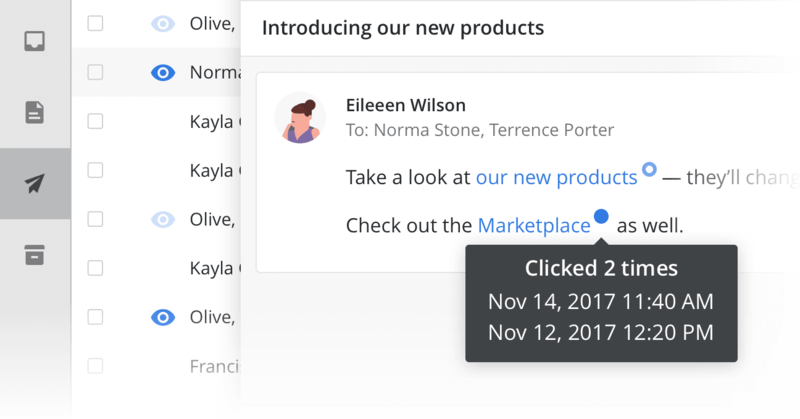 If you use our email templates for example, tracking can help you determine which templates are being opened, and which aren’t quite sparking your prospects’ interests. Every action from your prospect is tracked and given a time stamp. This means that every single time they open your email or click your link, you’ll be able to know exactly when it happened and how many times they did it. The more your email is read or your link is clicked, the more engaged in your outreach your prospect is. Tracking this engagement is crucial to replicating the effect in future communications. You can filter your Pipedrive inbox to only show emails with tracking enabled. Need to find all deals that have a tracked email associated with them? 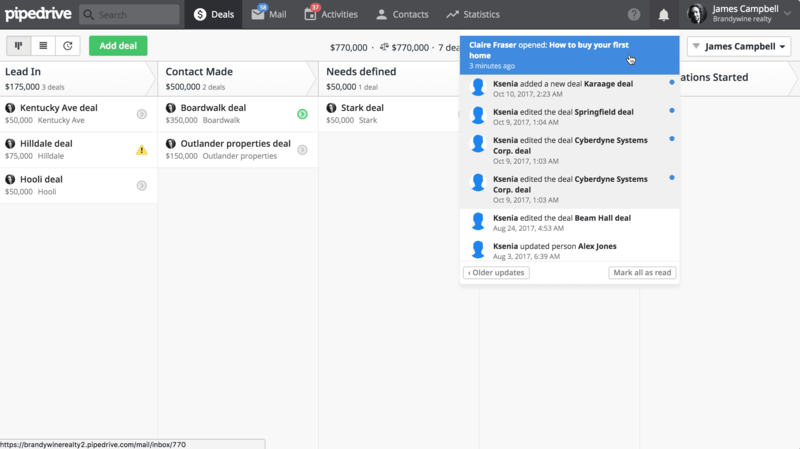 Just be sure to also view your emails with the “Linked with open deal” filter enabled. How do you start tracking emails? All you have to do is click on the tracking icons at the bottom of your composition window. Once tracking is enabled, send away your email and cross your fingers. This can be enabled for all future emails, although it can’t be retroactively applied to previously sent messages. To find out more about email tracking in Pipedrive read our full support article. Note: Email tracking is only available on our Gold plan, which also includes full email sync, customizable templates, and the ability to send emails directly from Pipedrive. 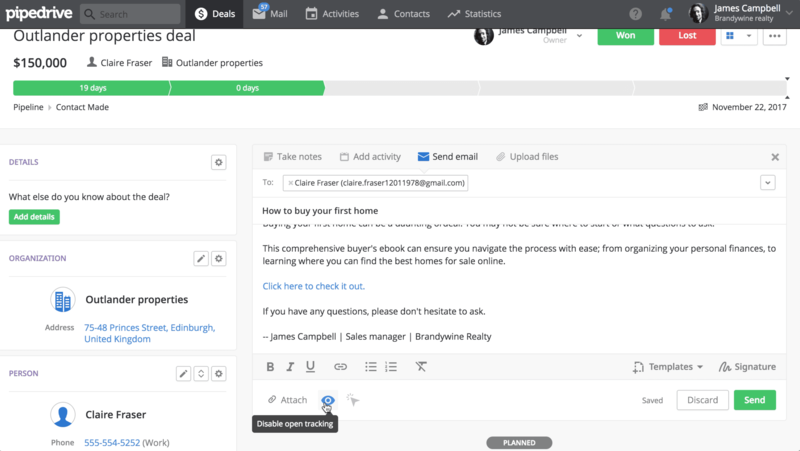 See email tracking demonstrated in this full tutorial video about the Gold plan's Sales Inbox features.